1. Accelerate – He scratched out of the Grade 2 San Diego Handicap, but he is still atop this division. However, how long he lasts remains to be seen because his stablemate Catalina Cruiser put on quite the show filling in for him in that race. 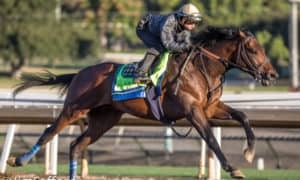 He is targeting the Grade 1 Pacific Classic as of right now. 2. Diversify – When he is at his best, you simply cannot run with him on the front end. 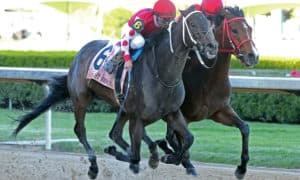 He crushed his rivals in the Grade 1 Whitney Stakes, giving him a solid Suburban/Whitney double. He is right on the heels of moving to the top spot. 3. Catalina Cruiser – Say hello to the division’s newest star. He is now 3-for-3 in his young career after dominating the San Diego Handicap at Del Mar. 4. 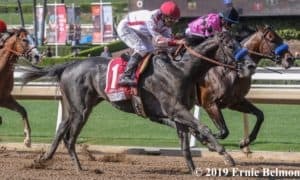 City of Light – We learned in the Grade 1 Gold Cup at Santa Anita that 10 furlongs might not be what he wants to do. He ran well to finish third in that race but did not display his usual zip down the stretch. Will he stay in this category or go back to sprinting? 5. Bee Jersey – As of now, it is hard to know whether to put him in this category or in the sprint division. He and Mind Your Biscuits put on a show in the Grade 1 Met Mile, with Bee Jersey winning by a nose. The win was his fourth straight. 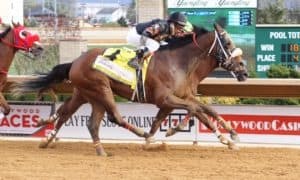 Sleeper: Mind Your Biscuits – For now, he is ranked in two divisions. 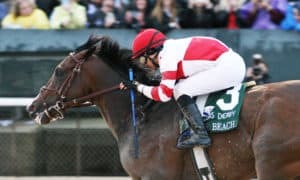 He is probably most effective going short, but he deserves recognition for finishing second in the Whitney behind a loose-on-the-lead Diversify. Trainer Chad Summers has several options for his next start. 4. 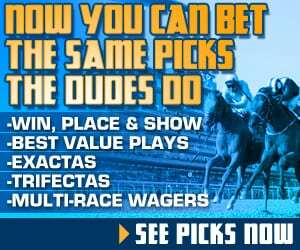 Fault – She’s 3-for-3 this year, all against graded stakes company. Based on resume alone, she’s the top filly in the division. However, a recent injury suffered while training was serious enough that her connections are debating whether to retire her. 1. 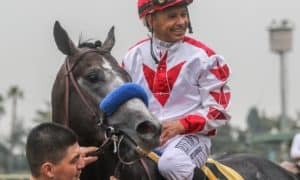 Justify – The Triple Crown winner has this division on complete lockdown and will undoubtedly be the 2018 Horse of the Year as well, even though a recent hoof injury caused his premature retirement. 2. Good Magic – His Grade 1 Haskell Invitational victory confirmed that he is indeed the second-best 3-year-old this year. 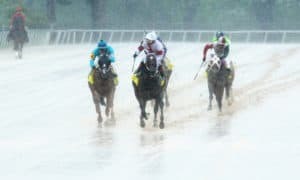 If not for Justify, he probably would have had a shot to win the Triple Crown. 5. 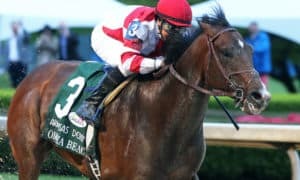 Hofburg – He picked up a solid win in the $100,000 Curlin Stakes, which should set him up for a big effort in the Travers. Hopefully, he can get a big-time win on his resume. Sleeper: Tenfold – This rapidly-developing colt picked up his first stakes win in the Grade 2 Jim Dandy. He showed a lot of immaturity in that race, but he is becoming a nice horse. 5. Seperationofpowers – This might be the best female sprinter in the country, regardless of age, after a tremendous win in the Grade 1 Test Stakes. 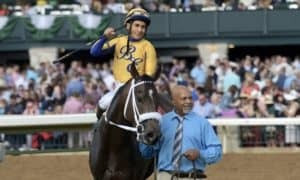 Sleeper: Talk Veuve to Me – The drop in class was just what she needed as she crushed her rivals in the Grade 3 Indiana Oaks. 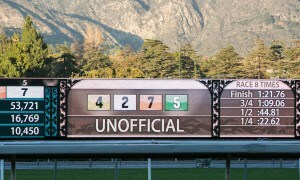 That win could send her back into tougher company for her next race. 1. 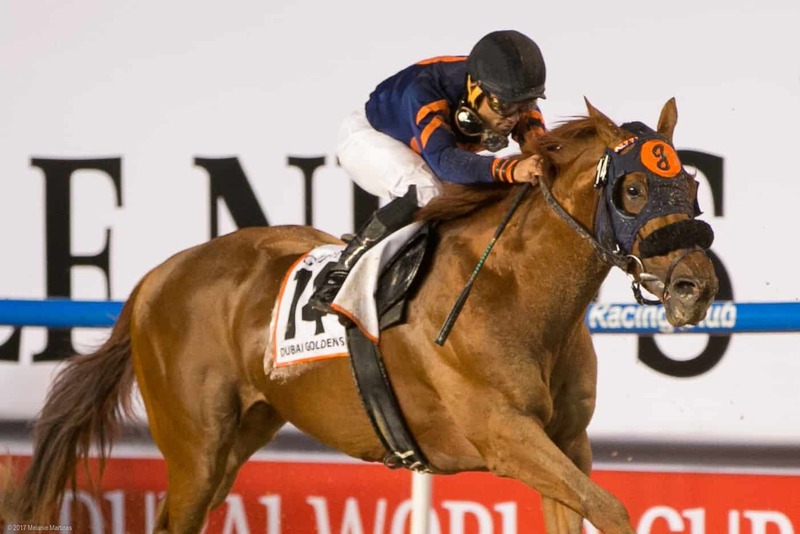 Mind Your Biscuits – For now, he will remain number one in this division until we are 100% sure that he will not go back to sprinting. Going 6 or 7 furlongs, he can beat anyone in the world, but the jury is still out on how he can do going longer. Still, this is an incredibly versatile and talented horse.